We can work with you to set up a memorable trip for your group of 10+ people. In many of our Untours, we have accommodations that are perfect for a group of friends and family who want a balance of togetherness and independence. For example, stay in separate private apartments on a family farm in Tuscany or in a large traditional building on the coast of Scotland. Based on the number of people in your group, the leader may travel for free! We work with a number of river and sea cruise companies, including Viking and Ama, that not only welcome groups, but offer a free trip to organizers who book groups of a certain size. Requirements vary by supplier. Email Dee for details. Some restrictions and other terms apply. Inquire for details on these and other options. 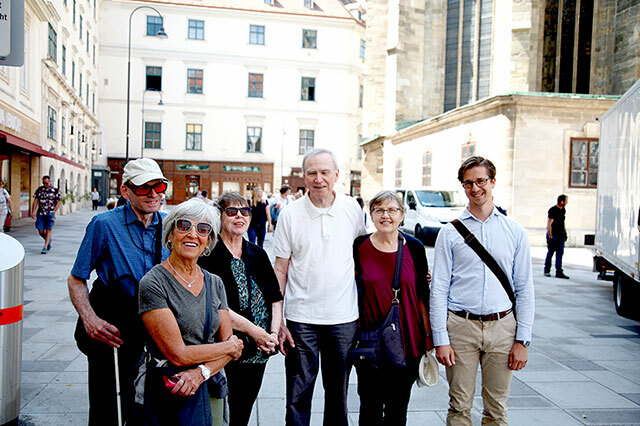 We offer a customized weeklong, in-depth city experience for groups in Vienna, London, and Berlin. With enough notice, we can look into other cities as well. The Uncovered program offers a balance of programmed time (concerts, lectures, cooking classes, tours, etc.) and free time for exploring independently. Our local staff organize the programmed time, but also give detailed guidance so that you can make the most of your free time. Because these programs are highly customized and accommodations must be requested, we need 9-18 months lead time to put the program together. Prices depend on the size of the group, the accommodations selected, and the program desired. We can offer rates with a free “group leader” on request. See examples of our coming Vienna and London programs.